Chocolate Swiss Meringue Buttercream: so light & silky-smooth, with a deep chocolate flavor & a hint of sweetness. This will be your new favorite frosting! It’s over here in a separate post, just for organization and indexing purposes! The hardest part is warming the eggs and sugar together, and that’s not really a big deal. I do it right in the bowl of my stand mixer, over a pot of simmering water. Just whisk it continuously for a few minutes, and then rub a drop of the mixture between your thumb and forefinger. Does it feel gritty? If so, keep whisking for another minute or so. If not, go ahead and put the bowl on the mixer and start whipping! You’re going to whip it until it’s completely cool. It will look (and taste!) a lot like marshmallow. Fold in the melted chocolate, and you’re golden! I melt mine in the microwave, stirring after each 20 second interval, until it’s completely smooth and velvety. This frosting would be great on just about any kind of cake or cupcake. I especially love it on a vanilla cupcake, but my four-year-old prefers chocolate on chocolate. 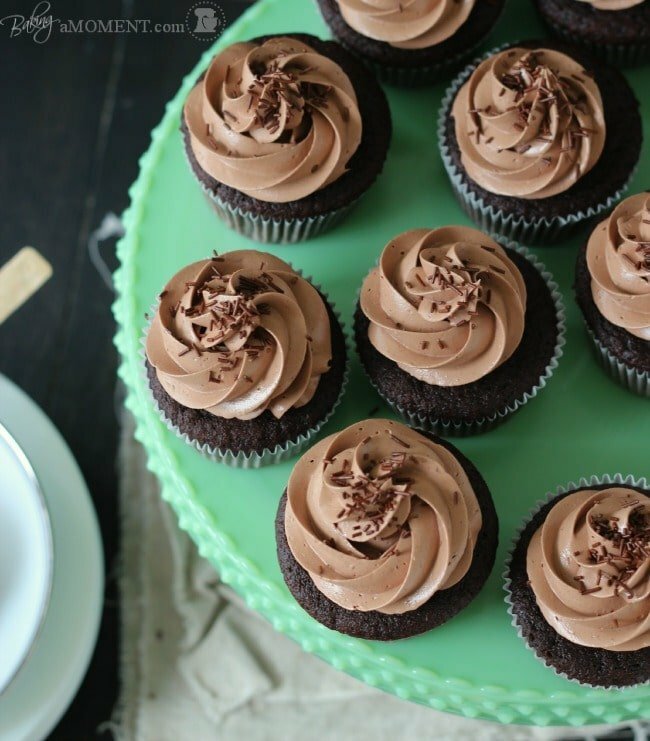 Here’s the recipe for Simply Perfect Chocolate Cupcakes. They are easy-peasy to throw together, super moist, and deeply chocolatey. You’re going to love ’em! Now, if you have ANY questions at all, they’re probably answered in this extremely comprehensive Swiss Meringue Buttercream post. So click on over to learn tons more! This post is part of a recurring series on Baking a Moment called “Simply Perfect,” where I share my favorite recipes for basic “building block” baked goods. Many of these recipes are tried and true, that I’ve made over and over again, through the years, tested on my friends and family, and deemed to be the best. Check out the “Simply Perfect” category of this website, for all the recipes in this series! And find lots more great buttercream recipes on my “Icings, Frostings, Fillings, & Toppings” Pinterest board! Place the egg whites and sugar in a large metal or glass bowl. Set the bowl over a pot of simmering water, and whisk, continuously, until the sugar has completely dissolved and the mixture looks opaque. Remove the bowl from the heat, and whip on high speed until completely cooled. Fold in the melted chocolate, vanilla, and salt. If the egg whites and/or the butter are slightly too warm, the buttercream may be runny. This can be easily remedied by placing it in the refrigerator for 20-30 minutes, then whipping again. That’s really all you need to say. This frosting is just heaven! oh yeah! before this i tried all kinds of frosting, this one really works! taste is there and it pipes and holds it’s shape! #frostingshootersanyone? Hi allie does the melted chocolate have to be in room temperature before i mix it to the micture? Hey Poldi! You don’t want it to be too cool, otherwise it will clump up. But on the other hand, if it’s really hot it could melt the butter. So I would say cool it slightly but make sure it’s still melted smooth. Hope that’s helpful! Hi again Allie! Unfortunately my meringue buttercream turneout really soupy. i laso tried to cool it in the refrigerator but it just wont stiff up once it hit room temperature, what do u think i did wrong? can u tell me how can i fix it? How long did you give it in the fridge, Poldi? It sounds like it was too warm when the butter went in. I tried swiss meringue buttercream for the first time a while ago and I love it, it’s so smooth and creamy. What colour is your kitchenaid? I’m looking to buy one but I’m not sure what colour to go with. I thought so, I noticed the green shades on your blog. I like the colour a lot myself. You’ve a lovely blog. Thanks, that’s nice of you 🙂 I haven’t been blogging for long so I’m still getting grips with things. That has to be one of the sweetest comments I’ve ever gotten! And I get a lot of sweet comments, lol. You’ve totally made my day. As a blogger yourself, I’m sure you know the time investment that goes into it, and there’s often very little to show for it. But comments like this make it so worthwhile! Thank you so much for brightening my day! This is the most beautiful frosting ever! I am always fascinated by a frosting with great texture, hold, and smoothness! Pinning onto my Frosting board! Can’t wait to try it out! This frosting looks amazing! I have a question about the ingredients, which say *1/2 cup (2 sticks) unsalted butter. * Two sticks of butter is normally 1 cup, not 1/2 cup…is this a typo, or did you really mean to use just 1/2 cup of butter? Thanks for the awesome looking recipe! Please toggle the metric button below the list of ingredients. Hi Allie! New fan of your gorgeous blog! Love the recipes and photos! This looks beautiful. I made Swiss Meringue Buttercream for the first time a few weeks ago and while I loved the texture I wasn’t crazy about the taste. I can’t wait to give this one a try. Hallelujah, Allie! I cannot wait to try this decadent and awesome looking frosting (frosting, as you know, makes me a little weak in the knees). I haven’t tried Swiss meringue buttercream but I may have to strongly suggest that my husband make this for me (he is a meringue master). This frosting sounds a bit like 7 minute frosting (which I utterly adore). Can’t wait to try it out! Allie, I am a new fan of your blog. Don’t know how I went this long without bumping into you. This frosting is gorgeous and your pipping is beautiful. Love love love. That buttercream does look absolutely perfect – pinned! Hi Nora! I’m so happy you liked the recipe. You are definitely right, you can omit the chocolate, and that would just be a plain Swiss Meringue Buttercream. Or you could add vanilla extract, or any other flavoring. Here’s a vanilla version: https://bakingamoment.com/simply-perfect-vanilla-cupcakes/, and here’s a strawberry version that is just out of this world: https://bakingamoment.com/strawberry-cupcakes-with-strawberry-swiss-meringue-buttercream/. The sky’s the limit! Enjoy! Hi Allie – the pictures of this are fantastic! Can I ask you, what piping tip did you use? I love the result of it. I can’t wait to try this recipe. Hi Tina! Thank you 😉 Photography is a learning process for me so I’m always glad to get encouraging comments! I just used a big star tip. It’s by Wilton and it’s called 1M, but I pushed a pen through it to bend it outwards and make the opening bigger. Thank you, Erika! I think you’d love this on “our” favorite vanilla cupcakes 😉 Good luck with the paint project! Can I use carton egg whites, in place of fresh egg whites? I have done that and it usually works out just fine. Good luck! Your chocolate cupcakes was perfect and the frosting is even better and again I’ve featured this recipe on my blog, if you don’t agree with that, please contact me and I’ll remove it. All the best. I was just wondering how this pipes? 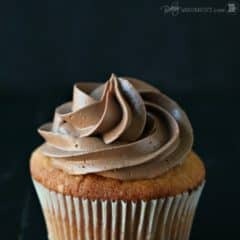 I am looking for a delicious chocolate icing recipe, and since I haven’t ventured away from the traditional vanilla butter cream, I was wondering how this would fair for icing! Hi Sarag! It pipes like a dream and holds its shape really well. You can kinda see from the photos. It’s got a stiffer consistency, but it’s not hard to pipe. It’s by far my favorite kind of frosting. A little extra effort at the beginning but the flavor payoff is huge, and it’s super stable too. Good luck and thanks for reading! That’s exactly what I was hoping to hear. Will be trying this weekend! Thanks! Yay! Good luck, and enjoy! Ops just saw frosting is enough for how many cupcakes. How do I store excess buttercream and for how long? Do I have to rewhip before next usage? Thanks. No worries, Kris! I already replied under the previous thread. Thanks again for reaching out! Hi Kris! So happy you’re going to try this frosting! I think you are going to LOVE IT! Check out the “yield” on the recipe card, I believe it’s 2 dozen cupcakes or a 9″ layer cake. I used a Wilton 1M tip for piping. As for what to do with the leftovers, that’s an excellent question! If there’s anything left over, it can be stored in the fridge or freezer for probably a week or so. When you’re ready to use it, you’ll want to take it out and let it come to room temperature, and then whip it up in the mixer again. It tends to get stiff as it sits, so it really helps if you whip it again to get it fluffed and airy. Good luck and thanks again for the great question! Hi Allie, sorry to bug u again. Perhaps u missed my previous query on whether this smbc is suitable for piping rosettes on the sides of cakes? Good thing I figured out when to put in vanilla, although I used Almond instead because you never finished the recipe. I have a question: when adding the melted chocolate, even if it is chilled, the buttercream won’t melt a little bit? It would be a good idea to beat the buttercream again, or I must incorporate the chocolate only by hand, using a spatula? I like to let the chocolate cool a little bit, before adding it to the buttercream. But not too much, or you’ll end up with little blobs of hardened chocolate in your frosting (I’ve actually done this :/). It should be a little warm but not hot. Surprisingly, it really doesn’t melt the buttercream. I’m not sure why??? Perhaps because the meringue has somehow stabilized all that butter? You can beat the chocolate in with the mixer, or just fold it by hand. It’s up to you! I’ve done it both ways and have just come to prefer folding it by hand, but it’s really a matter of personal preference. I am about to add the chocolate to my buttercream and I will let you know my results. Can I ask what weight a cup or stick of butter is please in grams? Hi and so sorry for the delayed reply! It is 113 grams. Good luck, dear! Hi! It’s really frustrating to look @ all ds beautiful pictures, even the step-by-step guide & not be able to reproduce them. I’ve checked as many sites as I possibly can on smbc & somehow, each time I make mine, d butter separates, I think that’s what you call curdle. What am I doing wrong? Tity, it almost always separates on me too. It’s not you, trust me. It separates, and then you just have to keep beating and beating. High speed. It will come back together. Stop adding more butter until it does. When it gets smooth again, then you can begin adding more. Make sure that your meringue has NO HINT of warmth left. The butter should be a little soft but not warm. A lot of times, I put the mixing bowl with the meringue in it, in the fridge for 10 minutes or so before I start beating in the butter. Take a read through the other comments on this post. You will see more tips there. Also if you click over to the vanilla version (the link is within the post). It’s a little more advanced technique and lots of bakers have trouble with it at first, so you are not alone. Don’t give up! You’ll get it. Good luck dear. I just tried your Chocolate Swiss Meringue Buttercream. It turned out VERY soft, (like whipped cream soft) even after refrigerating for an additional 30 minutes and whipping the sugar/butter/egg mixture, once back to room temperature it was still super soft. I have never had a European Buttercream before, is this normal? I will say I have never tasted a frosting as delicious as this. Even if I can never get it to thicken up it it has a great flavor. As is, it will be great on cupcakes, I was just hoping for something a bit more pipe-able. Hey Rob! Thanks so much for reading my blog and trying one of my favorite recipes. I’m not sure what the problem could be, but it definitely doesn’t sound quite right. One of the reasons I love this frosting so much is because of how stable and pipeable it is. I do sometimes have to throw the meringue in the fridge for a few minutes (10 or 15? ), but it always stiffens right up. It should not take 30 minutes. As you can see from my photos, I piped it on the cupcakes and it held its shape really well. I even left those cupcakes in a hot car for over an hour and it still held up! Did you use fresh eggs or egg whites from a carton? I tried it with pasteurized egg whites once and did not have a good result. Other than that I really can’t imagine what the problem could be…??? Thanks for the reply. The were eggs from a friend with chickens actually. They were in my fridge for about a week. I suppose they could have been older since I don’t know when the friend collected them but they were full (no large air pocket) and smelled nice and fresh when I used them. They were a bit small but I had about 8 whites from the cake I made so I measured out 3 oz of whites instead of counting eggs. The resources I found online suggested a “standard” egg white was about an ounce. I may just have to try again and see if the results are different. Still the friend who got the end result loved the cake, it was probably the best tasting cake I’ve made thanks to the combination of non-boxed cake and your tasty frosting. hi! i just want to ask how to make this into a mocha swiss meringue buttercream? thank you! hi. i just want to ask how to make this into a mocha swiss meringue buttercream? thank you! Hi Papillon! I’ve done mocha buttercream many times and it’s one of my all-time favorites! I typically use the instant espresso granules, dissolved in just a tablespoon or so of water. The espresso granules are a little harder to find~ I believe the brand I’ve used is called Medaglio D’Oro? Good luck and thanks for reading! So its 1 tbsp espresso granules dissolved in 1 tbsp water? It’s really up to your tastes, but I’d probably dissolve a tablespoon of espresso granules in a little bowl with one or two tablespoons of water (whatever it takes to get a thin paste), and then add a little of that at a time to your buttercream, until you get the taste you’re after. It’s hard for me to say exactly, because some people prefer a strong coffee flavor, and some like the chocolate to be the focus. It’s up to you, really, you can add as little or as much as you’d like, it shouldn’t have much impact on the texture of the buttercream really. Good luck, and let us know how you make out with it, ok? Sure. Thank you so much! Hiii I just made your simply perfect chocolate cupcakes and they definitely live up to their name !! Im about to make this recipe and I was wondering is there a specific speed I should keep my stand mix on? Is there a chance of over beating the egg whites ? Hi Nasra! I don’t think you have to worry about overbeating the whites. In fact, the more you beat them, the better! I usually do it on high speed, and you want the whites to be stiff enough to hold firm peaks. Good luck and thanks for reading! Yay!!! I’m so happy it worked so well for you! You’ve just put a huuuuuuuge grin on my face! I hope you enjoy eating the cupcakes and buttercream… these are two of my favorite recipes on the whole site. Thanks so much for reading and for the awesome feedback, Nasra! Hi Rafidah! Thank you so much for reading my blog and for the kind words! For which recipe are you wanting to sub in regular yogurt? Just double checking because the post you commented on does not call for yogurt. I’m thinking it’s probably one of the cupcake recipes you’re referring to, and if that’s right I would say go for it! Just be sure that it’s unsweetened yogurt, and bear in mind that the batter will be a little runnier because of the increased water content. Good luck and happy baking! Hello! I have been dying to get Swiss Meringue Frosting down pat. I am curious as to your thoughts on using unprocessed cocoa powder instead of melted chocolate. I always have powder on hand but not chocolate bars for baking. Not sure how each affects recipes results, any ideas?? Hi Elizabeth! What a great question… I’m a big fan of cocoa powder for its robust flavor and also because it makes for fewer dirty dishes than chopping and melting chocolate! I’ve never tried it in my SMB, though… if you do please let me know how it comes out! I did use the requested amount of chocolate and used cocoa powder. My co-workers LOVED it. They all said it was the best frosting ever. I am not a fan at all of traditional buttercream, can never get it to where I don’t taste the butter and no matter how little PS I use its too sweet. This will replace any request for buttercream. I will be using it on half of my order today 🙂 Four Dozen to make better get started. Thank you for this fantastic and easy recipe. Oh, yay! I’m so happy to hear you were pleased with the buttercream, Elizabeth. I feel the same way about buttercreams in general, and this one in particular. Thanks so much for trying one of my favorite recipes, and for the great feedback. Good luck with your order! I’m after some baking tip. How do I get my cupcakes to rise straight up like yours instead of flaring out at the top? Hi Lily! That flare usually happens when you overfill the wells. Try filling only about halfway and see if that helps. Thanks for the great question! I am definitely trying this recipe this weekend! May I check with you, the butter as stated on your post 2sticks (1 cup), may I know what’s the exact weight if I were to convert it in grams? And also, is this frosting bake to withstand humid weather? I am residing in Singapore you see. It’s mostly sunshine and humid most of the time. Hi Nora! I’m so glad you’ve decided to try this recipe. I think you will be really happy with it. The frosting holds up well in heat/humidity. It’s extremely stable because of the egg whites. 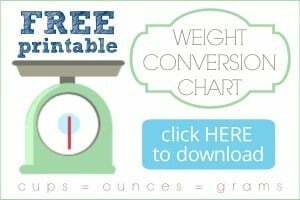 You can find imperial to metric conversions here: http://www.ask.com/question/how-many-grams-in-a-cup-of-butter. Good luck, and enjoy! This buttercream really lives up to its name! It was perfect! I still have a bit of leftover of the buttercream. May I know if the buttercream can be refrigerated? And for how long? Hi Nora! I’m so glad you were happy with it! I do keep mine in the fridge sometimes. You’ll probably just have to fluff it up with the mixer again before you use it. I’d say probably no longer than a week, because eggs. Hi Meghan! Sorry I can’t really answer your question without knowing what size cake you’re making. However, as stated in the recipe card, you should have enough buttercream to ice (2) 9-inch diameter cakes, (1) 9 x 13-inch sheet cake, or 2 dozen cupcakes. Good luck, and thanks for reading! Just to check with you, if I want to make vanilla swiss meringue buttercream, I should just omit the melted chocolate right? Ya, pretty much, Nora! Also I like to add a little vanilla bean paste or extract at the very end. I actually have the recipe for vanilla SMBC here: https://bakingamoment.com/simply-perfect-vanilla-cupcakes/. Great question, thanks for asking! If I were to make cream cheese frosting using this recipe, how much cream cheese should I add in? Hey Nora! That is actually something that I had been meaning to experiment with for a long time. But recently, I had a reader leave me a comment saying don’t even bother trying! She had done it a number of times and felt it was a big failure, a waste of time and ingredients. I’m still on a quest for the perfect cream cheese frosting, and nothing has really met my high standards. However, I can point you to this one: http://www.justataste.com/2014/01/red-velvet-cupcakes-piped-cream-cheese-frosting-recipe/, and this one: https://bakingamoment.com/magical-cream-cheese-frosting/. Both of them are a little looser than I’d prefer, but I can get them to pipe, especially when cold. And, once piped, they do hold the shape very well. Also another reader recommended this: http://www.anediblemosaic.com/?p=5894. I haven’t had a chance to try it myself, but she said she uses it all the time and it works well. Good luck! How does this Swiss Meringue Buttercream hold up in Hot weather ? does the cake need to be refridgeerated after icing the cake or how long can cake still on counter? Thank you. Hi Esmeralda! The buttercream holds up extremely well. You’re actually not the first reader to ask! I would encourage you to read the other comments on this post- I think you’ll see just how stable it is. Thanks so much for reading! Thank you i’am going to try this today but one more question I did read where you can keep it in the the refridgerator for up to a week but after icicng the cake how long can the cake sit out on the counter ? does it have to be put in a box ? Not sure about the box thing- I guess if you’re trying to transport it a box might be helpful. I usually keep cakes on a pedestal, sometimes I use the kind with a cloche. I probably wouldn’t leave it out more than a day, because of the eggs. Hope that helps! Okay Allie I tried the vanilla SMBC and it was delicious !when I was whipping it I went to stir it and it was runny but I remember you said whip it whip it whip it or something like that so I did and it did come together. My husband who doesn’t like buttercream due to ir being way to sweet loved this one he ate the whole cupcake with the SMBC,lol .but he did say it had an after taste maybe it was the butter or the vanilla who knows who cares I loved it and it answered my ? about how stable it is. wish there was a way to post a pic I started making a cross cupcake but the g/kids ate some of the cupcakes lol.One more ? can I color this SMBC ? Thank you and God Bless. What if I just want plain swiss meringue? omit the chocolate? I’m going to try swiss meringue since I always got intimidated when I hear it. So it’ll be the first time I going to make one. Good luck Anne! I think you’re going to love it, the silky texture is so lovely. And yes, just leave out the chocolate, or substitute with whatever flavor you’d prefer. I love coffee, peanut butter, strawberry, vanilla… it’s really adaptable! Gee I’m not really sure, M…? I’ve never had that problem. Could it have been the cake? Maybe it was too soft and it settled a lot under the weight of it’s layers? Both recipes are identical with the exception of the chocolate. As you can see, 3 egg whites, 1 cup sugar, and 2 sticks of butter. I’m not really sure why you ended up with less of the vanilla one…? I’ve tried the cup cakes recepi this morning..even though I’m not very sure about the method of combine the wet ingredients first. .but I give a try just to know the end result. ..it turn out to be a very nice cup cake..super fluffy n yumm..thanks for the great recepi. . I know, it’s a little bit different but I love the result too, and I feel like it makes cleanup so much simpler with just one bowl. I’m so glad you enjoyed, Joshi, thanks so much for your comment! Hi Allie, these look delicious! I am wondering what icing tip you used to create that perfect swirl? Hi Rachael, and thanks so much for reading! The tip is by Wilton, it’s a 1M. Good luck! Hi, I made this chocolate SMB a while ago and it was perfect!!! This weekend I tried to add white chocolate, but the end result was not nearly the same. My butter didn’t combine completely there was tiny lumps and the white chocolate although I thought it was perfectly melted also had tiny lumps when I started to pipe it. So the tips clogged with the butter and chocolate 🙁 . Any tips for getting the butter not to make tiny lumps (was it too cold – it was out of the fridge for around 15-20min)? It also didn’t want to hold shape, tried to put in the fridge, whip it up again, but still not 🙁 Don’t know what I did wrong this time. Hey Estelle! Oh that’s too bad it lumped up on you! What a disappointment. If it wasn’t the chocolate then I’m thinking maybe it was the butter. I usually leave my butter out a bit longer so it’s pretty soft. Maybe 45 minutes or so? It’s best when it’s soft but still a bit cool- but I usually err on the side of softer. Sometimes the buttercream can be too loose when the butter is warm, but I’d rather just pop it in the fridge for 10 minutes to chill and then re-whip, than have lumps. Better luck next time, dear! Hi, I tried it this weekend again and it came out perfect! I made sure the butter was extra soft and whipped it around 15 minutes extra 🙂 No lumps at all and it was super easy to pipe. Just wanted to let you know. I’m going to give this a try. From the other comments, I gather that the butter should be soft but not too warm. The meringue needs to be cold before adding the butter. Keep whipping on high speed until it comes together. Is there a heavy butter flavor with using 2 sticks of butter but only 1 cup of sugar? My usual chocolate buttercream has 3 cups of powdered sugar to 2 sticks of butter along with melted chocolate. Thanks! Hi Josephine! I’m so glad you’ve decided to give this recipe a try. It’s one of my all-time favorites! The flavor is definitely more buttery than sugary. And it sounds like you’ve got the process down pat! I hope you enjoy it- it’s definitely a lot different than the traditional powdered sugar variety. Once I tasted it, there was no going back! Good luck! No worries Patty! I use “large” eggs. It usually specifies on the carton. Large is what I buy 😉 Good luck and enjoy! And happy birthday to your mom! Hopefully you’ll find this helpful: http://wiki.answers.com/Q/Approximately_how_much_does_a_food_egg_weigh. Let me know if that answers your question. Thanks again! I tried your simply perfect chocolate cupcakes today, and my they so were peerrrfffect!! Amazing! I made them for my husband’s colleagues. And I iced some with chocolate frosting and the remaining with vanilla. Everyone loved it. I live in Dubai, and one of his colleagues actually called up to say these were THE BEST cupcakes she has had in all of Dubai! So thank you so much for that! I should also add that the thing that really made me want to try out this recipe were the photos. They are beautiful:) Made me really hungry! Aw, thank you so much Sarah! You truly made my day! I’m so happy to hear that you and your husband’s colleagues liked the cupcakes so much. And thank you so much for the sweet compliments! Hii 🙂 i just want to say i’m having a hard time doing the smbc please help me. Mine was so runny when the time i added the butter.What do you think went wrong? Lea- you may want to check the previous comments. Twenty minutes in the fridge before whipping should firm things right up. Good luck! Hi! 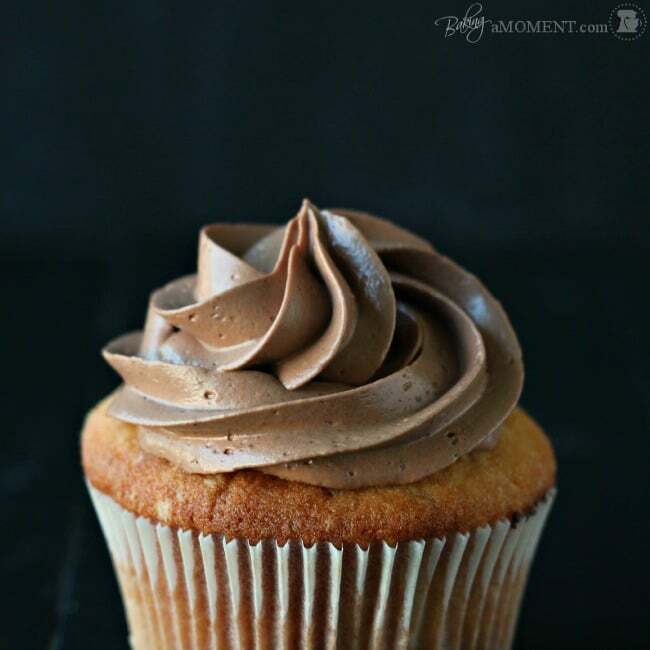 I found a cheap jar of pb2 today, and as I have been planning on trying out your simply perfect chocolate cupcakes, it hit me-could I add the pb2 to the vanilla frosting and make chocolate peanut butter cupcakes? ! Do you think there would be an issue with texture? Is there a specific way I should add it? Would I have to displace some sugar so it doesn’t get too dry? Thanks! I’m new to baking so it really helps. What a great idea! I have to be honest I have never used that product before, but I think it could work! PB2 is the powder, am I right? You may want to dissolve it in a few tablespoons of warm water just to make sure it doesn’t clump up. I don’t think you need to worry about changing the sugar amount, just because the sugar really doesn’t add any “dryness.” It all gets dissolved into the egg whites so that shouldn’t be any issue. The great thing about this recipe is it takes all sorts of add-ins really well. Just make sure you add at the very end. I’ve done regular peanut butter plenty of times but I’d be really curious to hear how the PB2 works out! Good luck and let me know! Hi Allie! I only have a hand mixer with me. Would it affect the consistency of the meringue? I just tried it now and it turned out runny to pipe. Is there a way to save it? It taste heavenly by the way 🙂 Thanks! Hey Kira! 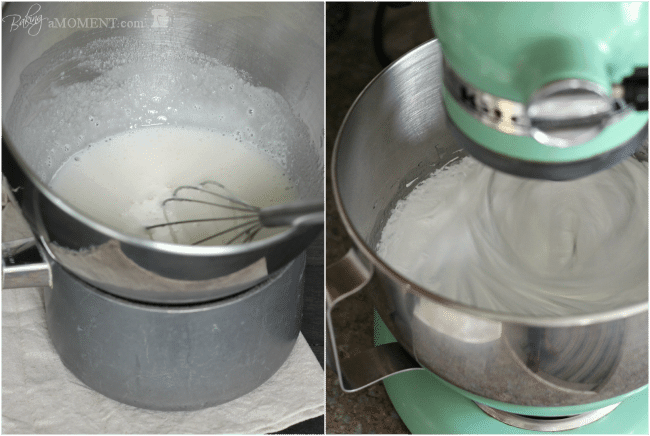 You can absolutely use a hand mixer, that should be no problem! If your buttercream seems runny it’s probably just because it’s a little too warm. Try popping it in the fridge for 15 minutes and then re-whip. Good luck and enjoy! Hi I’ve made this recipe before but I dont have a mixer so although the taste is great it is quite runny. So I was wondering if I could use a food processor to mix the ingredients for the frosting? I love your website and everything you have here looks superbly mouthwatering. Thank you so much Javaria! To be honest I’ve never tried making it with a food processor. I’m not sure how it would work or if it would be able to whip enough air into the meringue. But it’s certainly worth a try! Also if you’re having trouble with it being runny please check out the other comments above- it’s probably a temperature issue that’s easily remedied by just cooling the meringue a little longer. Good luck and let me know how you make out! Thanks so much for this recipe! This is my favourite icing and until this moment I had no idea what it was called! When I tried to describe it everyone said it had to be buttercream but it wasn’t quite right. I did have a bit of trouble so here’s a little tip if anyone else is in the same boat. I couldn’t get my mix to fluff up, even after sticking it back in the fridge to chill several times. It just refused to work, each extra piece of butter (slightly cooler than room temp) made the mix more cream coloured but did nothing to the texture. In the end I tried adding extra butter, cold and straight from the fridge – voila! In less than 10 seconds my mix started fluffing up! P.S. How long can I leave it unrefrigerated? That’s great Elle! Thank you so much for sharing this great tip. I wouldn’t keep the frosting unrefrigerated for more than a couple of hours since it has egg in it. So glad you like it! Thanks so much for reading! Hi there, I just made this recipe for probably the tenth time since I first discovered it and each time it has come out absolutely DIVINE and this is coming from a person who typically avoids chocolate cake/frostings. Thanks so much for sharing this recipe, it’s my go to frosting for yellow cakes and my mini kit cat cupcakes (did i mention it tastes great as a dip for pretzels and crackers?!). hi! i plan on making these cupcakes along with the frosting one day in advance. Would the frosting alter in any way? or would they be good in the morning? thanks! This frosting is AMAZING! I used it on top of banana cupcakes and it was a huge hit!!! I am going to give this delicious recipe a try for my husbands birthday next month. However, i usually like to do things in advance due to work and other ‘life’ schedules. How long can this recipe sit in the fridge for? Hey Emma! I would say at least a week, if not longer. You’ll just want to bring it up to room temp before using, and maybe even re-fluff it with the mixer. Good luck and I hope you enjoy! Great recipe. Keep them coming. Thank u. Allie, Do you have any method to make a mirengue more stable to stand very warm weather? Thanxs again. Hey Ruben! Thanks so much for the great feedback. In my opinion, the Swiss meringue is about the most stable I have found. It really holds up well for me in the heat and humidity. I even left a batch of cupcakes in my hot car for an hour or so and they held their shape beautifully! My pleasure Rachel! I’m so happy you like it- thanks for the great feedback! Hi Allie, can i use dark compound instead of semi sweet chocolate? Hi Elsi! Absolutely. Any kind of chocolate will do! Hi , I am abou to try this out 🙂 Can you please share the exact measurements of sugar and butter? we do not get butter in the form sticks here 🙁 we get a big huge cube! 2 sticks would be one cup, Elsi. Also expressed as half a pound. Hope that helps! Thanks for stopping by and good luck! hi, the recipe is too great !. the only mistake i made was the sugar was not completely dissolved in the egg whites so found sugar crystals here and there,but it was licking good !.. is there any way to fix it ..
Hi Sashiya! Sorry for the late reply. There’s not really any way to fix it once the butter is added. But for future reference, one thing I always do is to dip my finger in the egg white/sugar mixture and rub it against my thumb to check if there’s any grit. If it feels completely smooth I know it’s time to start whipping. Thanks so much for reading and trying one of my favorite recipes! Hello! So Ive had this same problem and tried it twice. Both times I heated the sugar and egg whites and whisked it together and kept heating it and whisking it, but every time I felt it between my fingers there was still sugar not dissolved. The second time I did it, I ended up adding the butter and chocolate and it tasted great (probably my favorite tasting chocolate frosting ever! ), but it had little sugar crystals throughout. Any idea what Im doing wrong? I’m using simmering water, but I don’t have a thermometer. Thank you!! Hi McKenzie! I’m not sure what kind of bowl you’re using- if it’s glass it could take longer to get up to temperature than a metal bowl would. But it sounds like you just need to be patient and let the whites/sugar cook a little longer, until they aren’t gritty any more. Good luck! Hi Allie, thanks for sharing this recipe! It’s so fluffy and airy and smooth! I tried to make a batch to cover a chocolate cake, however the texture is a little too soft for me to smooth the frosting out neatly for the sharp edge look. Do you have any idea how to “stiffen” up the frosting without changing the taste? I was thinking of adding more butter, however I don’t wish to have a too buttery tasting frosting 🙂 Thanks! Hey Cherie! Thanks for the great question! I never really do much to the recipe other than to make it just as is. However, it stiffens up quite a bit as it cools. Maybe try refrigerating it a bit? Hope that helps! Hi! I tried doing your swiss meringue buttercream but it won’t hold its shape. I did alter it a bit as I divided the buttercream into two, one chocolate, one vanilla. So I reduced the melted chocolate to 2oz. It just turns into a liquid mess. When I do refrigerate it, it does hold some shape, but later on it will pool a little bit (no water expulsion but just sort of melts). I also couldn’t get my warmed egg whites + sugar to whip to stiff peaks. It’s whipping, but 20 minutes (and a sore arm) still wouldn’t get me to hold up the mixer without the whipped egg whites flopping over. Could this have been the culprit? Thank you. Hey Austin! The whites should be stiff before the butter goes in. They should also be completely cool. Any hint of warmth will melt the butter and cause the buttercream to be soupy. I often place the bowl and whip in the refrigerator for about 10 minutes just be be sure. Also I use a stand mixer rather than hand-whipping. It usually whips up pretty quickly for me. Twenty minutes seems way too long. Hi! After two weeks, I finally tried doing this again and it turned out PER-FECT and so A-MA-ZING! Yes, there are little pauses in every syllable because this totally deserves it! At the process of mixing the butter in, I noticed it started curdling and I immediately thought “I’M DOING IT RIGHT!” and literally punched the air. I was very happy. This is perfect! Thank you! For the last step, can the chocolate we whisked on low speed to incorporate or does it need to be hand folded? Hello, I read on other blogs that when start adding butter it’s better to switch to paddle attachment. Does it really make a difference? and if yes, why? Hey Hala! I don’t switch to the paddle attachment. I just use the whip for the whole recipe. I like it because it keeps things light and fluffy, and if the butter is soft there’s no issue with the whip not incorporating everything well. Hope that helps! Hey I’m so sorry to hear that! Not sure what you mean exactly but I’d love to try and help troubleshoot if you want to provide details. Sounds like maybe you got a little yolk in your whites. Or perhaps there was some residual grease in your mixing bowl? 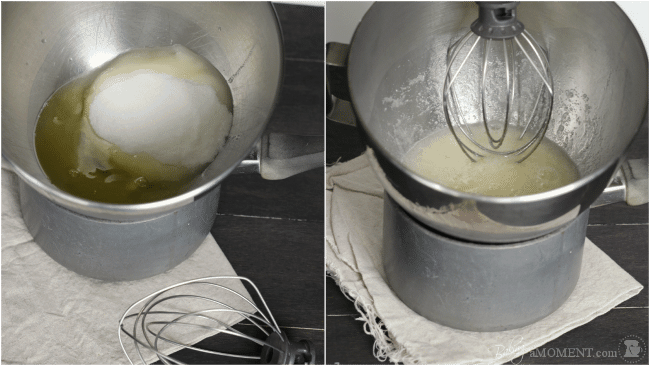 Even the slightest trace of fat can prevent egg whites from whipping up properly. I’m so sorry you had trouble this time around but I hope you’ll have better success next time! I tried making this frosting twice and both times it didn’t get fluffy it remained very runny. I followed the recipe to a T but never even got to the “looks like a marshmallow” phase. Any ideas on what I might have done wrong? Hey Terra! I do- if your frosting is runny it’s most likely because it’s too warm. It’s really important that there be no hint of warmth left in the meringue before the butter starts going in. If it doesn’t fluff up, you can just pop the whole bowl in the fridge for 10-20 minutes and then re-whip. I do this a lot and it always brings it right to where it should be! One other tip is to make sure your bowl and whip have no grease whatsoever, and that there’s not even a trace of yolk in your whites. Any kind of fat at all will inhibit your whites from whipping properly. I hope that helps and I’m so sorry you had trouble the first time ’round! Hi, I would like to try this recipe. What would be the weight of egg whites in grams? Thanks. Hi. I love your website. I want to make so many things here. I’ve never done swiss merngue buttercream before. I have done the 7 min frosting which sounds similar to the first steps of this frosting. Anyways, how long can it stay out at room temp? I want to make these on Sat but won’t serve until Sunday. I don’t think I’ll have the room in the fridge for all the cupcakes. I also do not want to be decorating cupcake Sunday morning. Also, for the just the plain vanilla frosting, how does it handle food coloring? Thanks! You should be totally fine Jo! I’ve kept it out at room temp for several days without a problem. And it works very well with food coloring- I prefer to use the gel-paste kind from Wilton or Americolor. Hope that helps! Thanks so much and enjoy! 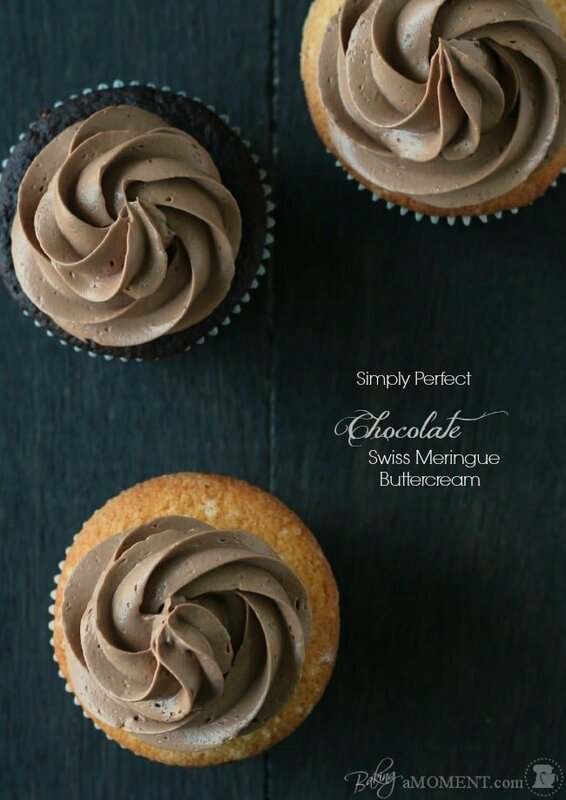 Hi, I tried your simply perfect chocolate cupcakes with this swiss meringue chocolate frosting. They both turned about tasting great. I wish I went with my normal cupcake scoop which is 3 Tbsp instead of the 1/4 cup you recommended for the cupcakes b/c they overflowed a little. Also I think I beat the meringue too long waiting for it to cool because it became paste like material. I almost started over but decided to add the butter anyways. It actually turned out fine. Some of the chocolate re-solidified after I added it, but the rest of the frosting was very smooth, chocolatey, and delicious. To half I added coloring to make orange frosting and that turned out really well. I ran out frosting after doing about 18 cupcakes probably because I over beat the egg whites and lost volume there. Anyways, despite all my mistakes, the cupcakes were very delicious and the frosting was delicious. Thanks for the recipe! Yes, absolutely! We always used Swiss meringue buttercream under fondant, back in my days as a pastry chef. It works beautifully because it doesn’t crust over and stays workable, allowing you to get it really smooth! Good luck Rebecca! hi , may i know do we use medium sized or large eggs for this buttercream and is it okay to reduce the amount of sugar? Hi there! I recommend large eggs. And I’m not sure I would drop the sugar too much, it could affect the texture and stability. Good luck and thanks for reading! Hi! My oven is pretty old and doesnt cook things very evenly. I worry if I try to put three pans in at once they might get burned towards the back. I read your earlier comment about how the batter won’t wait. Should I try two 9″ pans? Hey Erin! Sorry for the late reply; I’ve been traveling. I think that would probably work- just keep an eye on the bake times! Good luck and enjoy! I’m so sorry you’re having trouble Gina! Is the cake maybe still a little too warm? I often refrigerate my cakes overnight before frosting them. It seems to help the frosting to go on easier. Hi Allie, thank you for this recipe. If I want to make double quantity of SMBC do I just double all the ingredients? Do you think it will work? Thanks and God bless! My pleasure Anu! And yes, you can totally do that and it should work out just fine. Good luck and I hope you enjoy! Hi, Can you use white chocolate instead? does it hold well if piping roses? Hi Sana! You absolutely can and it should hold up very well. Swiss meringue buttercream is extremely stable. Thanks for reading and good luck! Enough to ice (2) 9-inch diameter cakes, (1) 9 x 13-inch sheet cake, or 2 dozen cupcakes. Hope that’s helpful! This recipe is DELICIOUS! I have make a few different kinds of merengue buttercream but this one tastes soooo good! 2. Eggs are ALWAYS different sizes even if they say they are the same, so keep an extra cubed stick of butter off to the side. I usually have to add three or four extra cubes to get my desired consistency. Great recipe, definitely saved this one ! So glad to hear it! Those are some great tips Staffani. I especially love the second one. Thanks so much for the great feedback! Hi Allie! Thanks for this great recipe! I am Swiss so I got really proud when I heard the name hahaha. The recipe is so simple, perfect for a clumsy beginner. Forget the Classic Buttercream, this is the stuff you want on your cupcakes! So happy you like it Laura! And glad I’ve done your country proud! Thanks so much for the awesome feedback! Hi, this looks amazing! I get nervous about egg whites not being thoroughly cooked, how do I know for sure when they’re cooked enough to be safe? Also, does this recipe double or triple well? Hey Eileen! It does double/triple well, as long as you have a big enough bowl for your mixer. I’d suggest you click over to this post: https://bakingamoment.com/swiss-meringue-buttercream/ for lots more info on SMB. You’ll see that if you want to use a candy thermometer to be sure your whites are safely cooked, you can do that and you’re looking for a temperature of 140 degrees F. Hope that’s helpful! 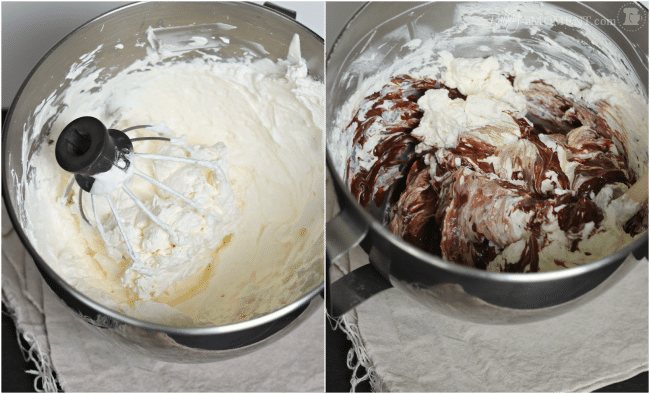 I love Swiss meringue buttercream frosting and this chocolate version is divine! So perfect! I am inspired to bake some cupcakes now! Hi Allie I’ve made SMB hundreds of times but have never made chocolate. Was just wondering if there was any way the buttercream can harden almost to the consistency of ganache? Thanks I love your recipes!! Hey Joseph! Swiss Buttercream doesn’t really harden or for a crust- you might want to instead try a whipped ganache or American-style Buttercream. There is a whipped ganache recipe here: https://bakingamoment.com/chocolate-cake-with-mexican-chocolate-frosting/, and you can check out my favorite American buttercream here: https://bakingamoment.com/easter-basket-cupcakes-with-american-style-buttercream/. Hope that’s helpful! Oh my goodness! This is sooo! Amazing!! Haha I’m so happy you like it! What is the Australian equivalent of granulated sugar? Is it our caster sugar? I believe so. Our granulated sugar is white, with fine crystals. Hope that is helpful Sara! Hi could you be so kind to give me the quantities in grams please? It looks very nice and I would like to try it in sooner! Hi Valentina- you can toggle between US Customary and Metric by clicking the buttons just below the list of ingredients. i have never used swiss meringue buttercream before and i am hoping that you can answer a few questions. I am planning to make the cupcakes and a cake covered in fondant the day before and put them in the fridge. 1. how are they the day after? 2. do they need to sit out for a bit? i am excited to try your chocolate meringue buttercream for the cake. Hi there! I’m so happy you’re going to try this recipe. To answer your question, yes I would advise you to let the cupcakes sit out a bit before serving. The buttercream contains so much butter, and as I’m sure you know, butter does get quite hard when it’s been refrigerated. So if someone were to bite into a cupcake topped with cold, hard frosting, it might not be as pleasant an experience as if the topping were softer. I hope that’s helpful! Good luck and enjoy! Wonderful! So happy it worked for you. I’ve always wanted to make a buche de noel! Maybe next year I will try! I recently tried your Swiss buttercream for the first time and really liked it. So I wanted to try the Chocolate version. I’m wondering though why the vanilla recipe calls for 6 eggs white and 2 cups of sugar but the chocolate calls for half of those. Will the chocolate recipe make as much as the vanilla? This frosting is so good! I ran out of vanilla extract so I ended up using Kahlua, since coffee compliments chocolate and this made it so extra! Sounds fabulous! Way to be resourceful Cassie! Family raved about this frosting!!!!!!!! A keeper B for sure, light, airy, and perfect flavor! Making again cupcakes for granddaughters birthday. I’m so happy you liked it! Thanks for the 5-star rating and happy birthday to your granddaughter!